Which would you say is more effective at reducing body fat- aerobic exercise or resistance training? If you chose aerobic exercise you would be among the 99% of the population who would fail this quiz. Let’s break down the misconception. Because aerobic exercise promotes cardiovascular health, it is a very important part of your personal fitness program; but in terms of burning fat, it lags behind progressive weight training. At the center of this false belief is the notion that resistance weight training is an anaerobic exercise, which burns fuel sources other than fat. This statement simply isn’t true. While aerobic exercise does burn more fat than resistance training during the workout, studies show that resistance exercise raises the metabolic rate for a longer period of time after the workout is finished. Maintaining the higher metabolism for a longer period of time allows resistance training to burn more total calories than an aerobic workout. In other words, a higher intensity/shorter duration exercise will burn more calories than will a lower intensity/longer duration workout. 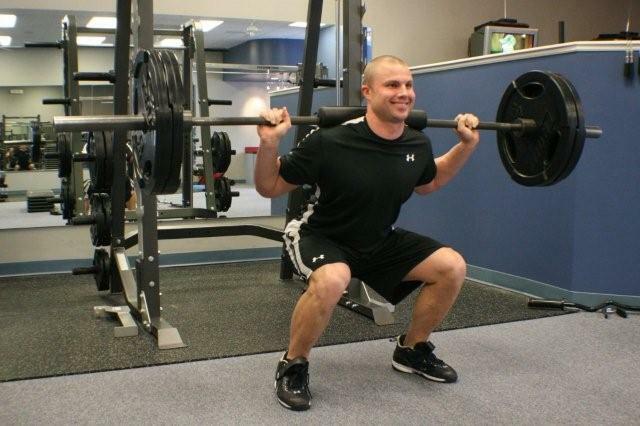 So how does resistance training keep your metabolism at a higher level for longer? Simply by increasing your body’s muscle mass. There is a direct relationship between muscle mass and metabolic rate. The more muscle you have the more calories you burn, even at rest. This is why men will lose body fat at a faster rate than females. The key here is muscle mass is intimately tied to burning fat. Fat on the other hand is inactive and basically just sits there, taking up more space than muscle per ounce, diminishing the functional ability of the body and inhibiting the heart to perform it’s duties proficiently. Building muscle will help to lose fat permanently while at the same time, shaping and toning your body helping you become a better you. Americans always think that “more training is better” when actually “smarter training is better”. Take a look at a long distance runner: do you see a lean impressive muscle tone with fullness? No, what you really see is a stick figure that is physically very weak. A recent study published in The American Journal of Clinical Nutrition, reported in a 12-week study that aerobic exercises such as the treadmill, elliptical, and bike, showed to have a negative life-long effect by reducing muscle mass, which as I said before is the key to burning body fat. On the other hand, the same study showed focusing primarily on resistance training for 12 weeks led to approximately an 8% increase in resting metabolic rate in both men and women from the age of 56 to 80 years old. Not to mention the strength and lean muscle mass that was gained and the reduction of body fat obtained during that 12-week period. To sum things up, by combining both aerobic exercise with progressive weight training, you will maximize your results while avoiding the loss of muscle mass associated with prolonged “aerobic-only” focused exercising. We as Americans are always trying desperately to achieve a certain scale weight in terms of a goal. Instead we should be focusing on goals in terms of lowering overall body fat (adipose tissue) along with building lean muscle mass. The scale does not matter, what does, is how you feel and how your clothes fit. At RobZFitness, we test our clients on a weekly basis to make sure that they are heading in the right direction. Challenge yourself and step away from the cardio equipment and into the weights. For more information to help maximize your results and achieve your goals, give us a call at RobZFitness, 813-571-3700 or check us out on the web at www.RobZFitness.com.